Food at train stations is hardly ever appealing least of all because of overheated pasties being left around for hours or stale sandwiches sitting around for days. But Patri – which translates as ‘railway food’ culture – does things rather differently and incredibly deliciously. 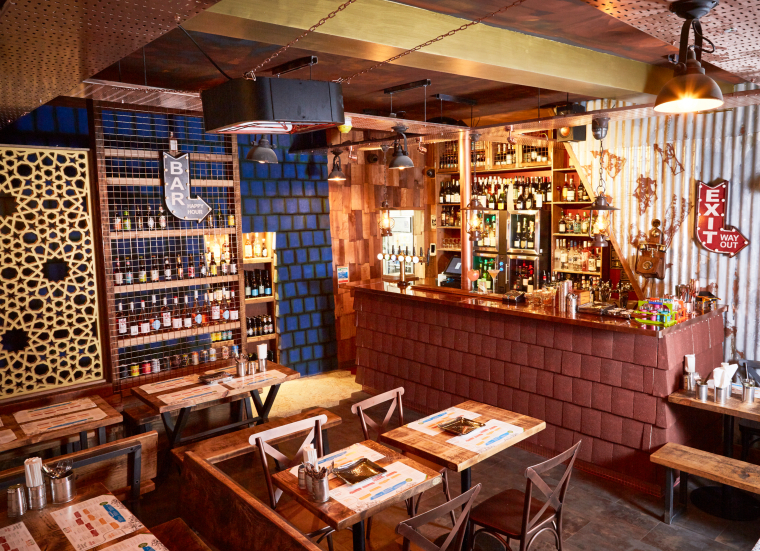 I recently went along to try out their extensive menu in west London with my friend Natalie. We were pleasantly surprised. 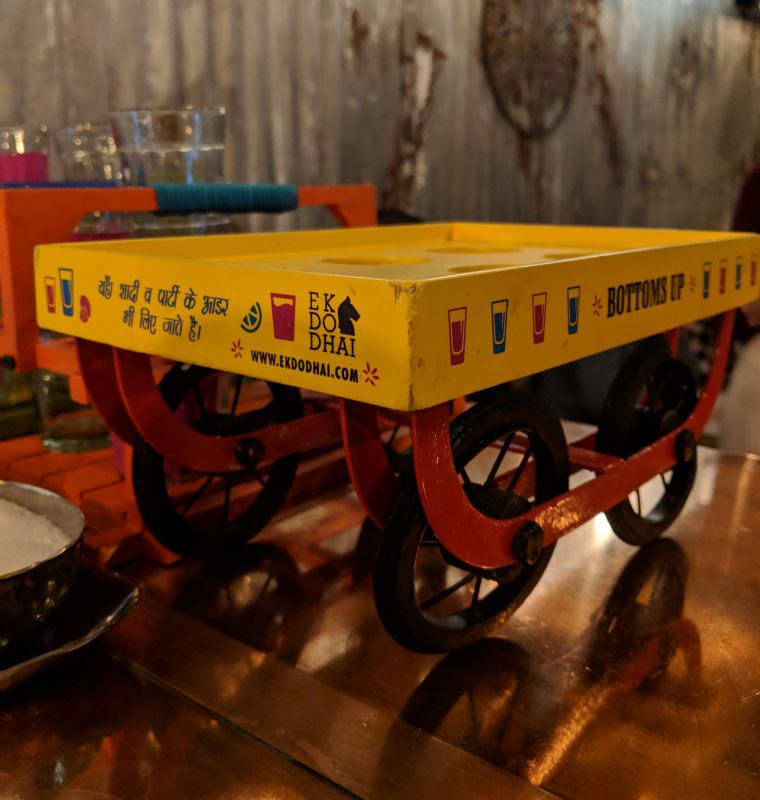 Patri is the brainchild of founder Puneet Wadhwhani who has created a menu (also founder and creative director of the independent street food chain, Chai Naasto), bringing food to the table he once ate as a child at New Delhi train station. He fondly spoke of eating the food on board India’s rail journeys and so he opened the restaurant as a tribute to it. Knowing we were in good hands, we allowed him to make the food choices for us so we could have a taste of a range of dishes. The evening kicked off with Old Delhi Pani Puri Bombs – crispy wheat balls filled with chick peas and boiled potatoes topped with tangy hot spicy and refreshing mint water. Hands on Puneet demonstrated how they were supposed to be eaten by smashing a whole in the balls and filling it with the ingredients on the plate. An explosion of flavours, creating them was just as fun as eating them. 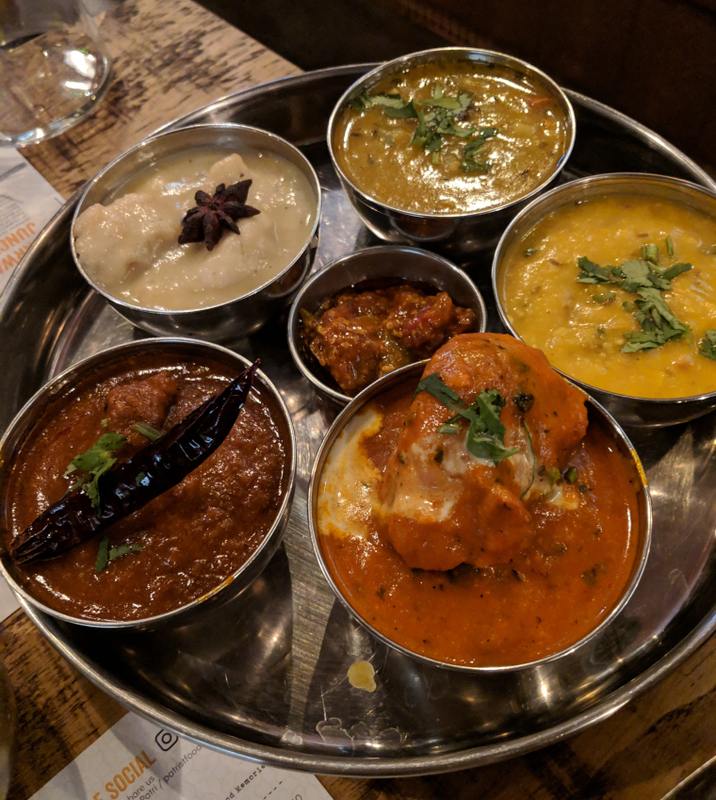 It’s not often Indian restaurants get the wine pairings right but at Patri this is just as important as the food and each dish was paired with different wines. Puneet is so passionate about this and often goes along to wine tastings to pick the right wine to go along with the various dishes. 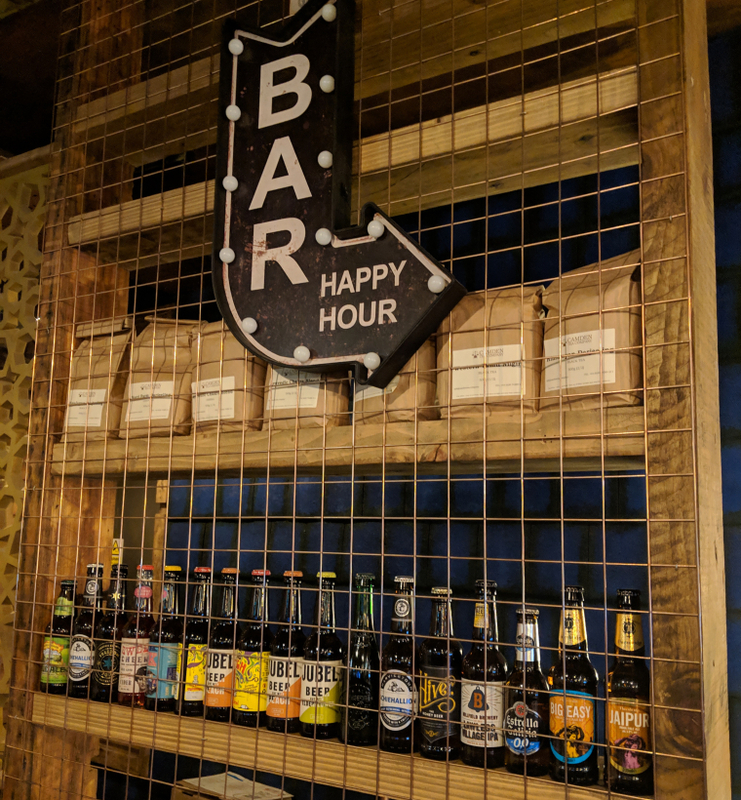 There is also a range of craft beers for those who prefer it. Each daal and curry is cooked from scratch, some over days, and the proof was in the taste. 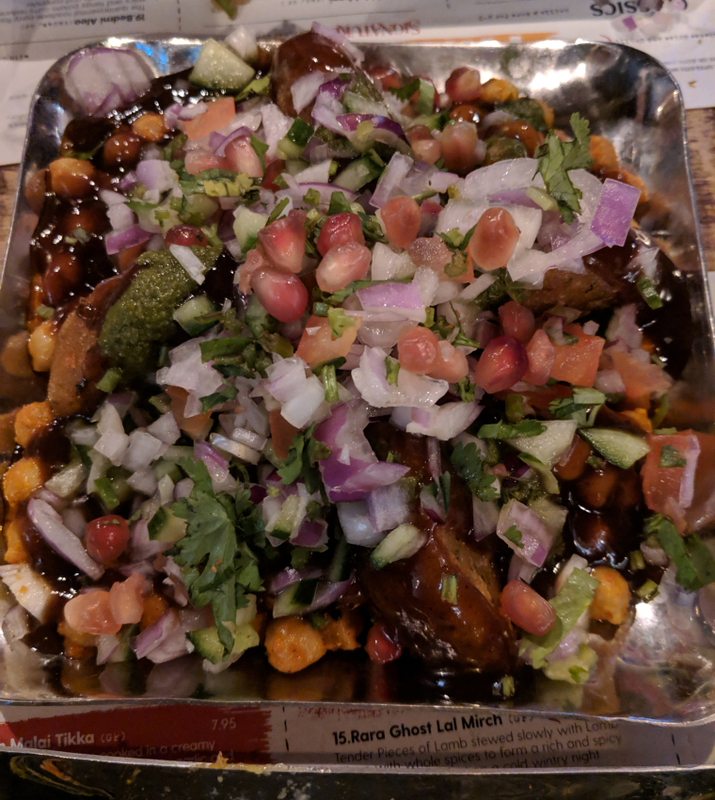 The Chatpati Alooo Tikki Chaat- two stuffed spicy potato patties served on a bed of boiled chickpeas drizzled with tangy lemon, vinegar, onions, tomato and pomegranate with tamarind and mint chutney – was especially good. 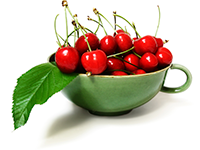 In fact, it goes to show that you don’t necessarily have to eat meat for the meal to be complete. With the vegetarian and vegan movement so strong, it’s easy to have a tasty Indian meal and not feel like you’re missing out. Having said that the meat dishes were exceptional. The Railway Mix Grill consisting of half tandoori chicken and lamb seekh kebab was finger licking good. Eating with hands is encouraged and it was indeed the best way to eat such offerings. 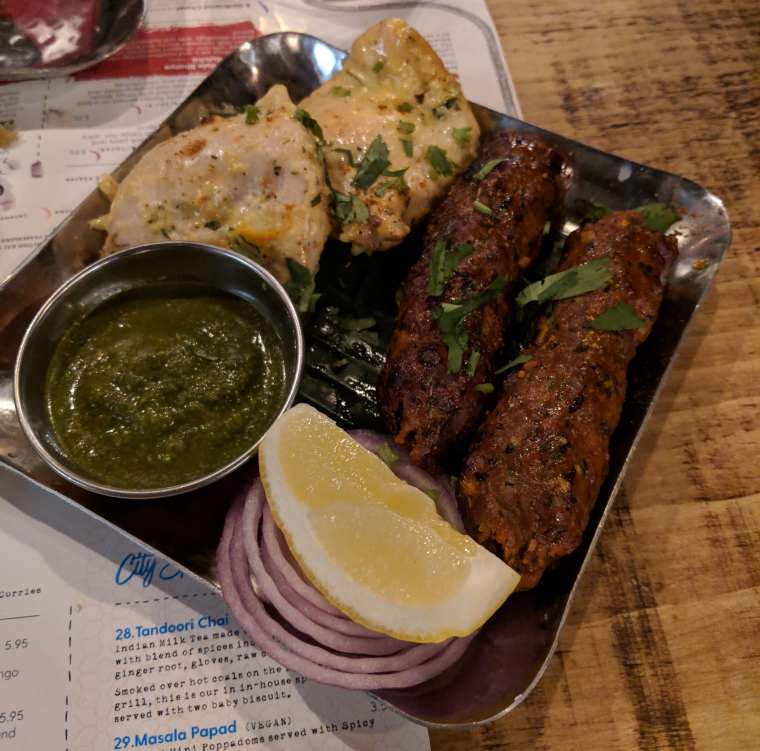 Natalie was particularly impressed with the butter chicken – on the bone, marinated and then cooked in a clay oven – commenting it was the best she had ever had along with the naan bread which was the softest bread we had ever eaten in an Indian restaurant. We were stunned to learn that the meat dishes were cooked by chefs who were vegetarian. They were so good you would never have guessed. Patri is a place to visit if you want authentic Indian street food. Be sure to book in advance though as there can be a waiting list at weekends. But you can always opt for a takeaway if you would prefer to eat at home. But wherever you eat this food – at the restaurant, at home or indeed a railway station – you won’t be disappointed. Street food has never tasted so good.